Non-Hodgkin lymphoma (NHL) is not a single disease entity, but rather a group of diseases, most of which are B cell in origin, though rare types of NHL are of T or natural killer cell origin. 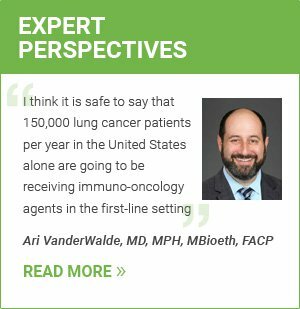 Several immunotherapeutic agents are available for the treatment of B-cell NHL, including the first monoclonal antibody and the first radioimmunotherapy to receive FDA approval. Rituximab (Rituxan; Genentech, Biogen), an anti-CD20 monoclonal antibody, was approved in 1997 for the treatment of B-cell non-Hodgkin lymphoma (NHL), the first monoclonal antibody to receive approval for the treatment of cancer. In 2002, ibritumomab tiuxetan (Zevalin, Spectrum) received FDA approval for the treatment of B-cell NHL that has progressed or relapsed after systemic chemotherapy or treatment with rituximab. Ibritumomab tiuxetan is an anti-CD20 monoclonal antibody linked to a radionuclide, the first treatment of its kind. Follicular lymphoma is a type of B-cell NHL; in 2016, the anti-CD20 monoclonal antibody obinutuzumab (Gazyva, Genentech) was approved in combination with the chemotherapy drug bendamustine for the treatment of recurrent or refractory follicular lymphoma that has been treated with rituximab. Chronic lymphocytic leukemia (CLL) and small lymphocytic lymphoma (SLL) are lymphocyte malignancies that are morphologically identical, and there is generally overlap between the two; a patient may receive a diagnosis of CLL/SLL. The difference between the two entities is based on location, as CLL is a disease of circulating lymphocytes, while in SLL, these lymphocytes are primarily located in the lymph nodes and/or spleen. As the treatment for these diseases is largely the same, and SLL is a type of NHL, they are covered in this section. Alemtuzumab (Campath, Genzyme), an anti-CD52 monoclonal antibody, received approval in 2001 for the treatment of CLL/SLL. Ofatumumab (Arzerra, Novartis) is an anti-CD20 monoclonal antibody approved for the treatment of CLL/SLL in combination with chlorambucil in patients who have not and cannot be treated with certain types of systemic chemotherapy. It also may be used as monotherapy to extend treatment in patients who have achieved a complete or partial response after having disease progression after two or more other types of treatment, or it may be used alone for the treatment of patients who have not responded to any other therapy. As SLL is a type of NHL, rituximab and obinutuzumab are also approved immunotherapies. Combination therapy and treatment algorithms for B-cell NHL depends on the type of NHL, as different types respond to different chemotherapy and immunotherapy regimens. In this section, follicular lymphoma and CLL/SLL treatment algorithms are covered. Lenalidomide (Revlimid, Celgene) and rituximab. For CLL/SLL, rituximab may be used in combination with either single-agent or combination chemotherapy regimens, including fludarabine, cyclophosphamide, and bendamustine. Any combination of these agents may also be used in patients with relapsed CLL/SLL. Other treatment options for relapsed or refractory CLL/SLL include idelalisib with rituximab and lenalidomide or alemtuzumab with or without rituximab. In addition, rituximab maintenance following induction therapy with rituximab with or without chemotherapy is an option for patients with follicular lymphoma, and ofatumumab maintenance is an option for second-line extended dosing in patients with a complete or partial response after treatment for relapsed or refractory CLL/SLL. A clinical trial is underway investigating the treatment of B-cell NHL with nivolumab in combination with epacadostat (INCB024360, InCyte), an IDO inhibitor. A second trial is being conducted to assess the combination of nivolumab and an investigational anti-CD37 monoclonal antibody called urelumab. 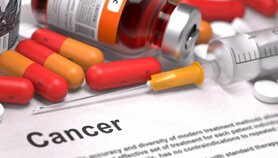 Pembrolizumab is also being investigated for the treatment of relapsed or refractory NHL.